Staffs CrossFit exists to improve members physical, mental and emotional capabilities, sporting performance and health through the application of science. We execute this by applying our Learn, Develop, Grow concept to every class which ensures every member improves their competence, confidence and character each time they set foot in our facility. Learn– to develop a baseline knowledge of movement mechanics and awareness of their bodies. Develop– to improve physical, mental and emotional concepts of performance. Grow– growing in strength, confidence and physical prowess. Training for the Stafford Marathon? Looking to get in shape for the summer? Want to learn Olympic Weightlifting or just lose weight. Whatever your fitness or physical goals are for 2019 we have you covered. 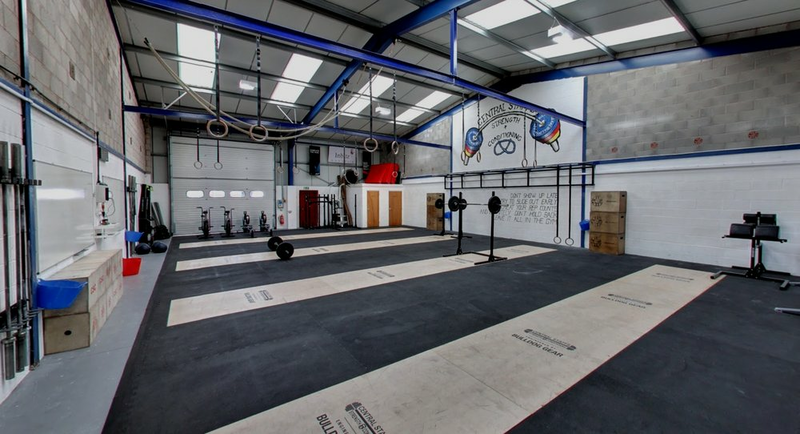 Here at Central Staffs CrossFit, based in the heart of Stafford, we promote exercise, fitness, structural development and a healthy lifestyle. We make sure all our workouts and classes are accessible for all ages and abilities. Our focus is on your long term physical performance and injury prevention. We have sessions that test your engine and push your physical limits, but we also cater for those who want to get educated and learn all concepts of physical health. No only is physical exercise good for the body but did you know that physical activity is beneficial for mental health too? We have been in Stafford since 2013 have decades of knowledge about exercise and fitness programs. We don't promote fads, we don't jump on social media hype, we take fundamental performance programming and make it fun and accessible. Whether you are recovering from an injury, just want to get started or are at the top of your game and need to break your plateau we have you covered. Still not sure? Take us up on our free taster session by using the link below. So how do you know you will like Central Staffs Crossfit? We wouldn’t expect anyone to sign up to one of our memberships without knowing what we do, how our programming works or how our facility operates. With this in mind we are willing to give anyone who wants to try us out “FIVE” free taster sessions. Our Taster sessions lets you meet the coaches, try out our equipment, meet other members and experience our facility in an informal way. We believe in what we do so to to prove it, we are giving you “FIVE” free sessions for just signing up. No credit payment details needed, these are free classes so you understand what we do and can find a class that suits you. If you would rather speak to us on a 1-2-1 basis without signing up just send us an email or a social DM. Click the link below to sign in for your “free” no obligation sessions. All memberships are per month unless otherwise stated. We have two types of core memberships. An entry level conditioning program starting at £25 per month which is open to anyone regardless of experience. To take part in our conditioning or olympic weightlifting classes all you need to do is sign up and have fun. No experience necessary. Our second option is our Crossfit Membership starting at £55 per month. In order to take part in CrossFit you do need to have completed the foundations course. The CrossFit foundations will teach you all the fundamental movements so you can hit the ground running. Our foundation courses run periodically through the year, but if you can’t wait we do offer 1-2-1 workshops to fast track your membership. Our Crossfit membership will also allow you access to some of our more technical classes like Strongman and Gym Jones and more. Check out our membership options below or call for more information. *applies to new CrossFit customers only, and requires standard membership renewal after 90 days. 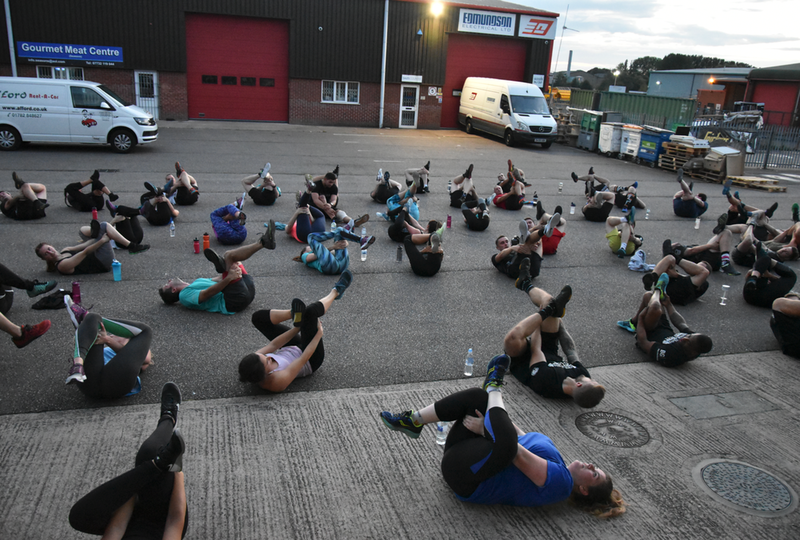 Based on the principle that workouts should be fun, easy to do and be accessible, our Conditioning classes utilise the principle of fitness interval training and resistance training to maximise caloric output, fat burning and total body conditioning. CrossFit is a core strength and conditioning regime designed to improve cardiovascular fitness and physical well being. Crossfit employs constantly varied workouts to get the best out of you and your body both physically and mentally. Crossfit is accessible for all abilities and is universally scalable regardless of experience. Strongman, or in the case of CSC Strongperson (we have both sexes participating), can be explained as being a weightlifting-based activity that includes lifting awkward objects from the ground to overhead, or onto a platform or even carrying them from point A to point B. Strongman is great for developing core strength and stability that translates into everyday life. Gymnastics looks to improve many of the 10 components of fitness that CrossFit aspire to achieve; accuracy, agility, balance, coordination, cardiovascular endurance, flexibility, power, speed, strength, and stamina. On entering our gym, you will be greeted by our members rest area where you can chill out and relax before or after a session. As we put the members at the heart of everything we do, we wanted make sure CSC feels like a home from home. Our reception area has drinks facilities, snacks and of course CSC merchandise. 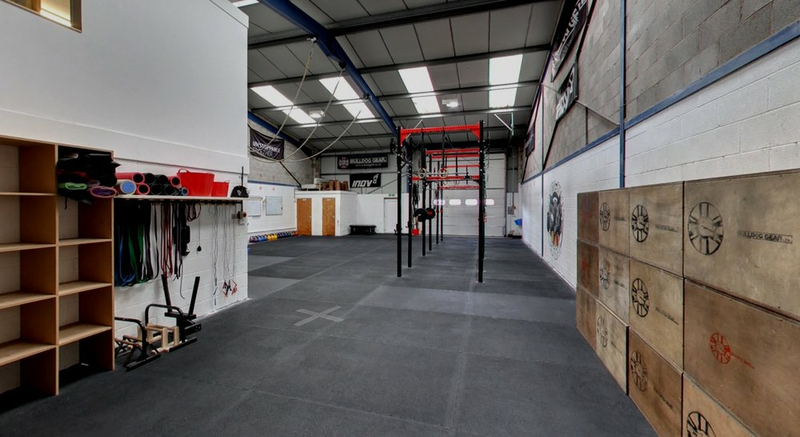 Central Staffs CrossFit is packed full of the latest functional fitness and CrossFit gym equipment from Bulldog Gear. We have two functional areas where the centre piece of the smallest space is a free standing rig, where we carry out a lot of the movements such as squats, pull ups, muscle ups and more. Our second functional area is close to 5,500 sq ft, complete with lifting platforms, Olympic rings and pull up stations. We have plenty of bars, bumper plates, kettlebells, Concept2 rowing machines and SkiErg's, Assault bikes, medicine balls, punch bags, Sand bags, soft Atlas stones and much much more. Come rain or shine, we often make use of the large outdoor space to the rear of the gym. I like coming to CrossFit because of all the fun games that get me really sweaty. In addition to creating fitness programs to help build a better you, we are also pleased to support Performance, Therapy and Rehabilitation (PTR) at Central Staffs CrossFit. PTR work closely with the CSC team to ensure all of our workouts mitigate injury and are structured to work the body in a way that is scientifically beneficial. PTR also offer a wide range of services to help you keep your body in check and maintain functional mobility. To learn more or book a session click the button below.